Click on the “overview tab” on your company’s LinkedIn page. Using the appropriate field on the overview tab, write a brief description of your company’s history and what you do. 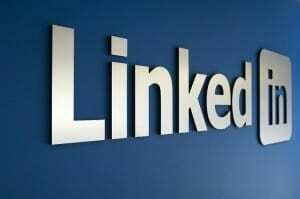 This will allow LinkedIn users who find your page to immediately recognize what kind of company you are and read on if they might be interested in doing business with you. You can also write status updates about your company on your LinkedIn page. These are similar to the status updates you can write about your company on Facebook and Twitter. Every few days, you can write something interesting about what your company is doing. If you write insightful status updates regularly, people will return to your page to read them, and you will generate increased interest in your business. 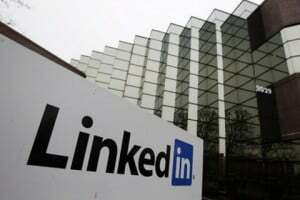 LinkedIn users will be able to comment on your status updates. Be sure to reply to their comments to show that you appreciate their interest. You may even want to send certain LinkedIn users who regularly comment on your status updates personal messages. Personal messages are the next step in networking on LinkedIn, and they’re a way for you to get the ball rolling and see if a user would like to do business with your company. Display your products and/or services using the “products and services” tab. It is a good idea to put professional pictures of all your products on this section of LinkedIn. If you offer services rather than products, put up some descriptions of the different services you offer. Once the pictures of your products or the descriptions of your services are up, customers have the option to recommend your products and services. If you know a customer is pleased with your company, you can send them a personal message and request that they recommend a product or service of yours. When customers recommend your products and/or services, all the people in their network will be able to see the recommendation on their LinkedIn page. 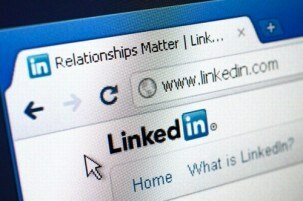 Encourage your employees to create LinkedIn profiles and join your company’s network. Your LinkedIn business page will include pictures of all of your employees who are on LinkedIn. When people visit your page and see pictures of all your employees, they’ll be able to get a personalized feel for your company. Use the “analytics” tab to find out more about who is visiting your page. LinkedIn collects data about people who visit your company’s page and creates charts for you based on that data. Only you will be able to view those charts. You can use the analytics information provided by LinkedIn to see what kinds of business fields people who visit your page are in, which status updates increase traffic flow to your page, and much more. So, follow the tips above and start harnessing the promotion and business networking power of LinkedIn! 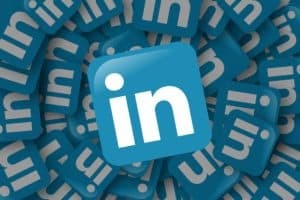 You can also connect with Slashsquare on LinkedIn. This article is written by Carolyn. She is a blogger and internet marketer. If you wish to write for us, kindly check this. Carolyn lives in Austin, TX and writes about inventory management, start ups, and marketing for the Blog Content Guild. I am on LinkedIn and have never thought of it in the same vein as a Facebook or Twitter or even a Google Chrome for that matter. But there is a great point that you are making about the visibility that it makes possible. In fact Twitter too was not understood to be a great platform until the plane landing on water in the US. I use LinkedIn to just add contacts but after reading your post, my information page is the first thing I am going to change. thanks for the tips. Although LinkedIn is not as popular as Twitter or Facebook, still it is a great avenue to promote your business there as there are a lot of business folks have joined their platform. Some say they're boring, but as I see it, people who take their businesses seriously should consider joining and being active in LinkedIn. Because everyone there means business. Hey Carolyn, nice article. Linkedin is one of the best marketing tool. But one thing is to remember that Linkedin is for creating a professional network and it is not like Facebook or Twitter, that randomly you can post any status updates. So only informative and quality content should be posted in Linkedin, which will be helpful to other business professionals in your network. Also engage in discussion within groups, or start you own group with like-minded individuals. So people will view your profile, visit your site, but also get to know you personally. That's always a bonus when doing business. You've pointed out all the main reasons which can help the user come across a good LinkedIn experience. As a LinkedIn user I feel that LinkedIn is for more serious business. It is a place where we promote our professional interests at the same time interact with others through comments. From my point of view if we want good number of traffic on our site then i think nothing will be better than this. Yep, Excellent article! I learned a few things here and appreciate your tips. Thanks for the article. Nice info for take as much as good response on one of the best site in social media all points are good but i impressed with point # 6 ""Get the Whole Company Involved"" this is true when we have many numbers of person in our social media account then we will get good response from that. I've used Linkedin on a number of occasions but I never understood how to use it to it's full capabilities. You've highlighted some great ways to utilize this social network site for your business. I've never updated my status on my LinkedIn page, but now I see how updating my status regularly can catch the attention of potential clients. Thanks for the great tips. Although I am not using linkedin to promote my sites, but I know linkedin is one great platform to promote product. LinkedIn is indeed very powerful and has huge potential for promoting our businesses. 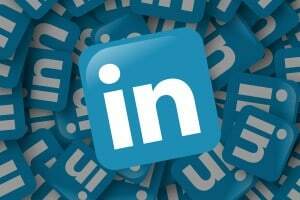 We can join the groups and start discussions, polls and interact with other like-minded people, I think LinkedIn is being widely used by many, and nothing new I think. Don't know why people use linkedin? LinkedIn is extremely popular mate. But mostly professionals involve more.